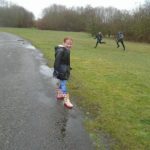 Wonderful, wildly windy, wet walk! 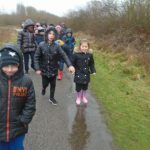 Well, it might have been wild weather but we were all calm and happy as we enjoyed this afternoon’s end to children’s mental health week. 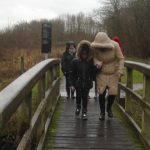 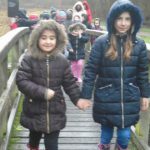 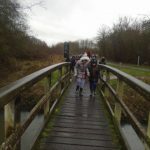 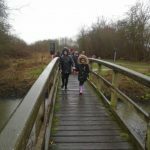 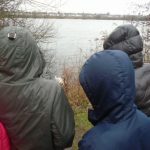 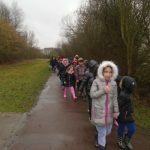 What a pleasure it was to take 13 children from Year 2 and 15 from Year 4 on a walk over the footbridge and around the Lea Valley. 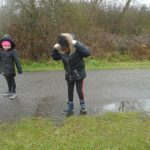 We did get rather wet but it didn’t rain all the time we were out and we did have fun jumping in puddles! 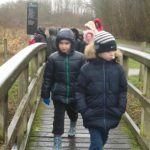 Along the way, we had some great conversation and saw lots of interesting sights including a couple of deer, a rabbit, swans and a variety of other waterbirds. 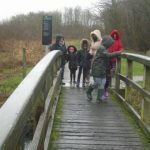 We even listened out for the troll as we were being Billy Goats Gruff trip-trapping over the bridge. 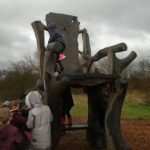 Year 4 definitely heard him when we came on our fairy tale walk last year but we didn’t hear a thing this year – phew! 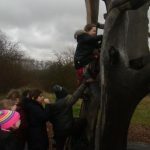 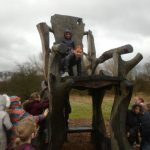 We also had great fun climbing on the big chair on our way back, which was why we were late, as everyone wanted to have a go! 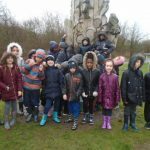 Thank you to our two volunteer parents who came to help. 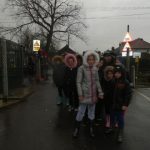 In spite of the weather, it was a lovely way to finish the week. 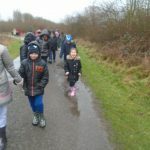 Roll on the next time we all go for a walk!